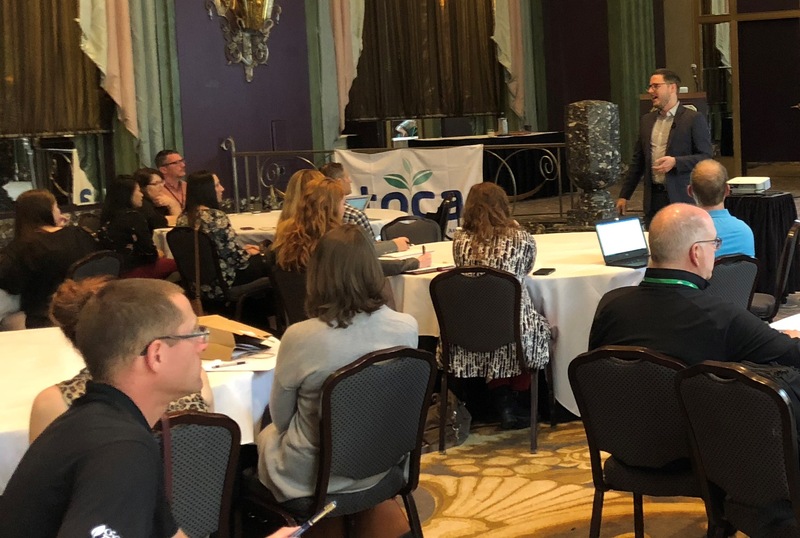 Ren LaForme, from the Poynter Institute, shared pointers on the digital tools for connecting with reader audiences at the 2018 TOCA Annual Meeting in May in Cincinnati. LaForme also presented information on improving modern storytelling and transitioned to his new topic by saying once you have shared the story, you need to engage with your audience. that can help engage audiences. Some of the first tools he highlighted were True Anthem and Echobox. While these tools are not free, they serve as artificial intelligence that ensures the right content is posted at the right time for the most reach and also looks for related content to share. Sparemin Headliner allows professionals to combine a picture with audio, called an audiogram. This tool is very technical, according to LaForme, but it allows users the potential to have audio go viral because it can now be shared on social media. Canva is a website that allows visitors to create images for social media. There are sizes specific to different social media platforms and predesigned layouts. LaForme says the most you’ll pay for an image on the site is $1, but you can also upload your own images to place pull quotes over. The site Pablo is similar to Canva and is just a little faster with less options to consider. CrowdTangle is a tool that monitors social media traffic and can be used to watch competitors as well, notifying users to when something is over- or underperforming. It can set up content discovery for certain topics. This platform is free to use, but there is currently a waitlist for access. Yet LaForme says the best tools for connecting are the social networks themselves. Some people may be looking for the next thing to go viral, but he says this is not feasible nor sustainable in the long run. 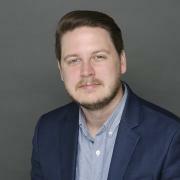 LaForme says drive-by clicks aren’t nearly as good as returning visitors, which is why cultivating audience engagement (aka loyalty) is so important. “Audience engagement is building a relationship with your audience,” he said. Some of the ways LaForme says you can build a relationship with the audience is by sharing interesting and related topics, sharing something personal at times to let them know you’re human, and not ignoring the wisdom of the crowd. LaForme says it’s wise from a business standpoint to know details such as your audience’s age, income, gender and career level so you know who you are posting to. He says there are three main levels of engagement. For the low-level engagement, this is simply acknowledging what’s going on in the comments. Pointing out facts to trolls can sometimes actually lead to future stories and tagging the subjects of your work can prompt them to engage as well. When typing social media posts, LaForme says you should stop and ask yourself if you would interact with the post. This will help you craft sentences that open the topic to discussion. This leads to mid-level engagement, which is when you ask questions that your readers can answer (avoid the rhetorical and technical ones). LaForme also says to be mindful of what people are engaging with and to circle back around to those topics. High-level engagement is asking people to share pictures or stories of their own. Be mindful to have a good sense of humor about the information you’re sharing and once again ask yourself if you would do it if you saw the post. Another option LaForme offers for engaging with your audience is to interact with them at different times during the publishing process. You can let them know what you’re working on beforehand, tweet a summary during the process and promise more, and share it with sources and on multiple platforms after publishing. “You have to be engaging to engage users,” LaForme said.